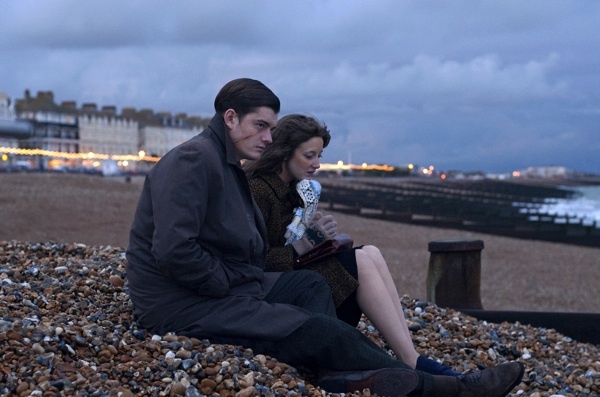 IFC Films is set to release screenwriter Rowan Joffe’s big screen directorial debut “Brighton Rock” in the United States. The limited debut run begins on August 26, 2011 in New York (Angelika & Lincoln Plaza Theaters) & Los Angeles (The Landmark Theater) and will be followed by a general release and con-current IFC On-Demand access. The story is based on the 1938 Graham Greene novel and was previously filmed in 1947 from the author’s own script (with Terrence Rattigan). Re-titled “Young Scarface” in the United States, the original film was a tour de force for a very young Richard Attenborough as “Pinkie” Brown, a 17 year old, murderously working his way up the ranks of a local graft mob. 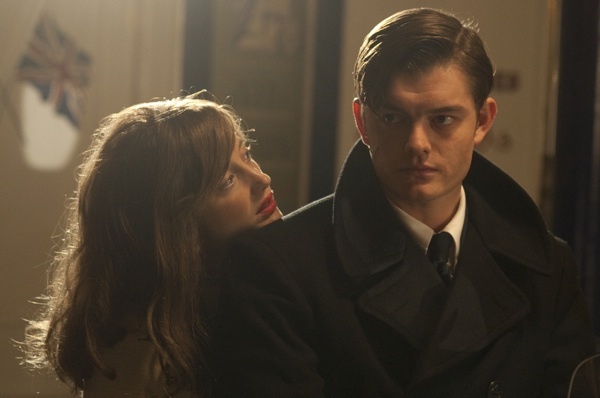 Sam Riley, who was simply amazing in his channeling of Joy Division’s Ian Curtis (Control, 2007), similarly inhabits Pinkie. He is a ruthless baby faced killer, who has no intention of waiting in turn to take the reigns of his faltering gang. The titular stick candy sold at the resort is metaphorically, “hard on the inside as it is on the outside”. 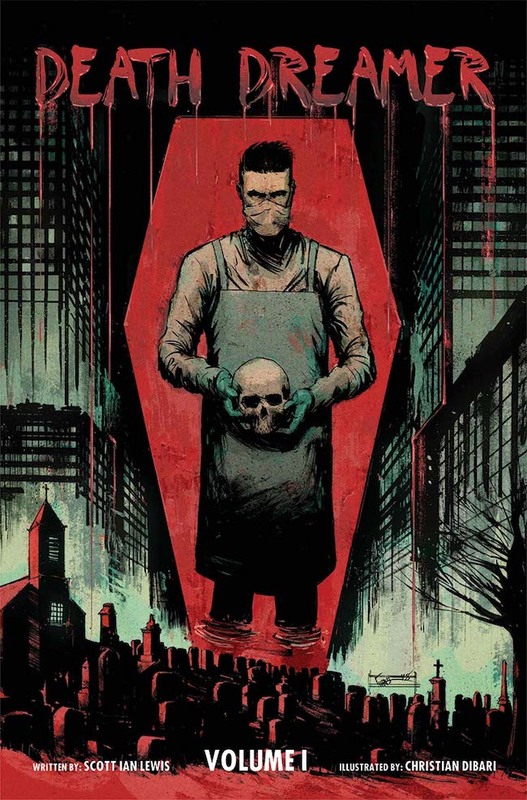 The accidental killing of Pinkie’s gang boss and father figure by local rivals triggers a series of vengeful events that force the young hood into feigning romantic interest in a young waitress, Rose. Their marriage would legally silence her potential as a witness against him. Rose on the other hand is truly enamored and sees Pinkie as a tarnished saviour of sorts. They seemingly share only one certainty through their mutual Catholic faith; damnation as a reality, though Rose believes in the forgiveness of God as well. Joffe trades the highly stylized visuals of the earlier version for a gritty realism. The juxtaposition of seaside holiday resort vs. back alley grunge is certainly what Greene had in mind when he told this story. It works in the scenes of the gang’s apartment – about as grimy and deteriorated a place as has ever been lensed – but loses something in the aesthetic translation with Pinkie’s brutal killing of the hapless “Fred” on the beach vs. the highly memorable cinema of the same character’s funhouse demise in the ’47 version. Once I Ran To You, Now I Run From You.. Whereas the original film offers Runyonesque (Greenesque?) caricatures, especially in the form of Hermoine Baddeley’s scenery gnawing Ida, the revisit displays much more depth and shade of characterization. Helen Mirren’s Ida portrayal, though dialed back about a billion suns, is no less tenacious in her citizen sleuthing and attempts to save Rose from Pinkie, and herself. Andrea Riseborough’s Rose goes miles beyond what could even be suggested by ingenue Carol Marsh in 1947. As Joffe’s script unfolds we discover Rose to be a determined, prayerful, innocent with a masochistic streak. She clings to Pinkie in a bid to escape her home life, a father who can “get his temper up”, but it’s a frying pan to fire maneuver. The scene where Pinkie barters with Rose’s father for her hand in marriage while she watches in the doorway is excruciating and their love scene presents a choreography of muted violence. Is It Me… For A Moment? Behind the gangland thriller trappings, the real core of Greene’s focus is the theme of personal transfiguration. Each character here is trying to reinvent their lives, escape the now and move into the future as an idealized remake of themselves. Pinkie aspires to be a modern gang leader like his rival nemesis “businessman” Colleoni (Andy Serkis), Rose redresses herself as a Mary Quant “dolly-bird”, next-in-line gang leader Spicer (Phil Davis) simply wants a “buy out” to purchase a small town pub. To that end Joffe moves his adaptation ahead in time slightly. We are placed at the Brighton Amusement Pier in the transitional year of 1964, when expectations for the future and social mores were poised to take a radical leap toward liberalism. In some ways Britain experienced an extended 1940’s while trying to rebuild itself after the Second World War, making the transition all the more jarring. Joffe shows the historical times a-changin’ by staging a recreation of the clash of the trendy Mods (“modernists”) and leather clad Rockers during 1964 Bank Holidays (i.e. “spring break”), which is used as a backdrop for an ensuing gang fight. Unfortunately the director chose to ignore the sounds of the times believing that introducing familiar pop tunes into the film would “snap the audience out of the story”, but in truth pitting the Mods’ favored R&B and Ska against the Greaser Rock of Gene Vincent on the soundtrack could have offered an additional layer of insight into the dichotomies of the narrative. Richard Hawley’s excellent end credits tune “There’s A Storm A Coming” gives a clue to what might have been had it been decided to create some faux period music to inject. Though not as impenetrable and idiomatic for the casual American viewer as let’s say 1979’s “Quadrophenia”, “Brighton Rock” will still require some knowledge of post war Britishness to truly understand its characters’ motivations based on historical setting. That said, Riley and Riseborough’s performances are universal in scope and are worth the price of admission. Watch the Brighton Rock Trailer.